Drunk Nothings: Which Angel do you like? 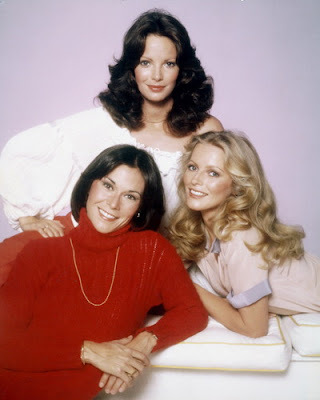 Rumor has it that they are in the process of remaking Charlies Angels for television. So my question is what Angel do you like? Can the new Angels be this hot?? Charlies Angels Remake: Genius Idea Or Another Flop? A Charlie’s Angels remake could be a stroke of TV genius or a complete disaster. I’m thinking there can be no in between on this one. Variety reports that ABC is close to giving a pilot order on a remake of the popular 1970’s series, with Terminator: The Sarah Connor Chronicles creator/(adaptor) Josh Friedman to writ and exec-produce. I am going with Lucy Lui from the new and Jaclyn Smith from the old.